The following letter was received by John Wolfinger on behalf of the Virginia-Highland Neighborhood from Atlanta Police Department Zone Six. 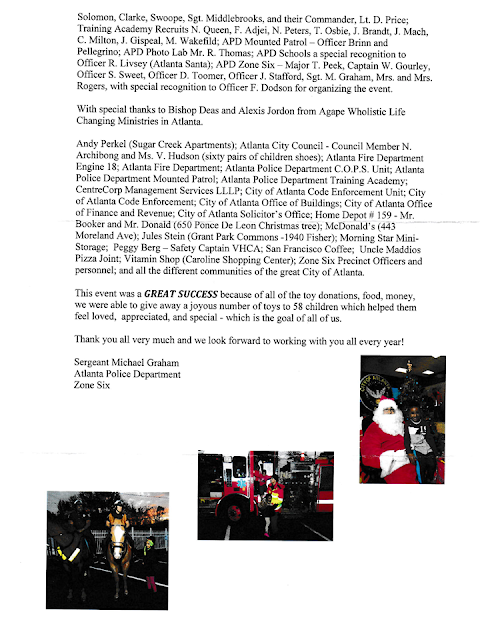 Your generosity provided gifts for 58 children in need. 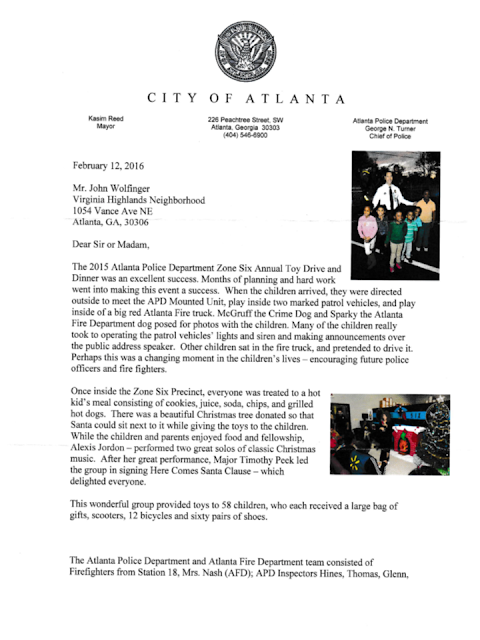 Read on to see what a special day our APD partners made for these children.